(CNN) The University of North Carolina at Chapel Hill shocked sports fans Monday with news that the women’s basketball coaching staff, including its beloved head coach, were placed on leave pending a review of the program. What we don’t know: UNC declined to answer questions about the nature of the complaints that prompted the review, citing student and employee privacy rights. It’s not clear if the “issues” that were raised include misconduct allegations directly against the staff, or if the staff is accused of letting a toxic environment prevail among the teammates. Whatever it was, legal experts said it must have been serious to lead to the suspension of such a revered figure in its sports program. What we know: Four employees, including renowned head coach Sylvia Hatchell, were placed on paid administrative leave. She was diagnosed with leukemia in October 2013, shortly after she was inducted into the Naismith Memorial Basketball Hall of Fame. She sat out the entire 2013-14 and returned in 2014 after a series of chemotherapy treatments. Associate Head Coach Andrew Calder is a longtime friend and colleague of Hatchell. He started coaching the Tar Heels in 1986. Calder led the team when Hatchell stepped down because of her leukemia diagnosis. Assistant coach Sylvia Crawley was a standout center on the 1994 North Carolina NCAA Championship team. She played in the Olympics and the WNBA before returning for her second coaching stint at UNC for the 2018-19 season. Assistant Coach and recruiting coordinator Bett Shelby joined the program in 2018. What we don’t know: Who is accused of what, specifically, and why they were singled out for administrative leave. What we know: A private law firm, Parker Poe Adams & Bernstein, will conduct the review to assess the program’s “culture” and the “experience” of student-athletes, the school said. It declined to comment further on the focus of the investigation. The hiring of an outside firm does not necessarily imply a certain kind of investigation, said Susan C. Stone and Kristina Supler, lawyers with Kohrman Jackson & Krantz, who handle cases involving student disciplinary matters and Title IX investigations. But they said it was a smart move to guard against concerns of conflicts of interest that could arise from an internal review. It’s also not clear of the allegations were reported to the US Department of Education for possible violations of the federal civil right law known as Title IX, which forbids any kind of discrimination based on gender. The department referred CNN to its page for pending cases currently under investigation. Different UNC campuses — including Chapel Hill — are listed in several open cases involving allegations of sexual discrimination, disability discrimination or racial discrimination. 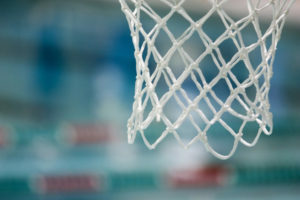 But details of those cases are not publicly available, and it’s not clear whether any are linked to the allegations that prompted the independent review of the basketball program. How the players are responding? What we know: So far, none have spoken publicly about the review. CNN affiliate WRAL reported that three players told the university they intend to transfer. What we don’t know: It’s not clear if the decisions are related to the review. CNN’s David Close, Sonia Moghe and Rebekah Riess contributed to this report.